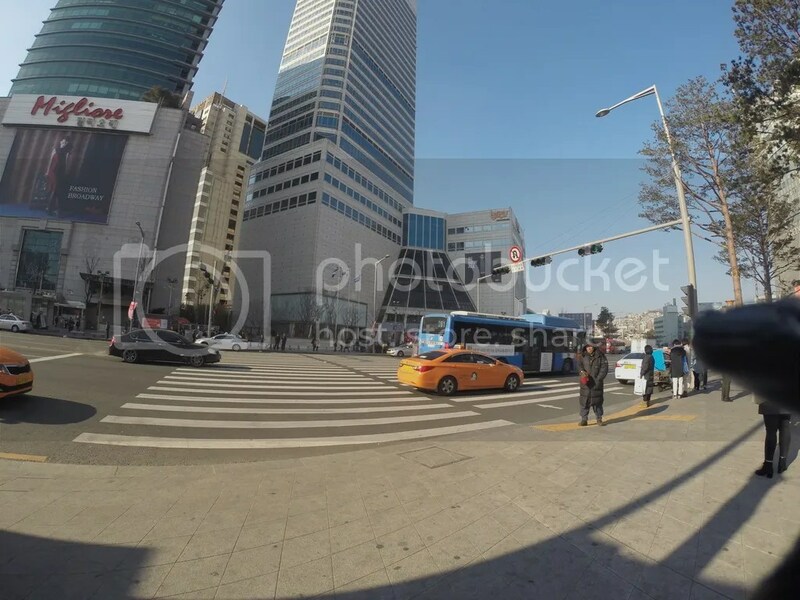 I underestimated how huge Seoul was. 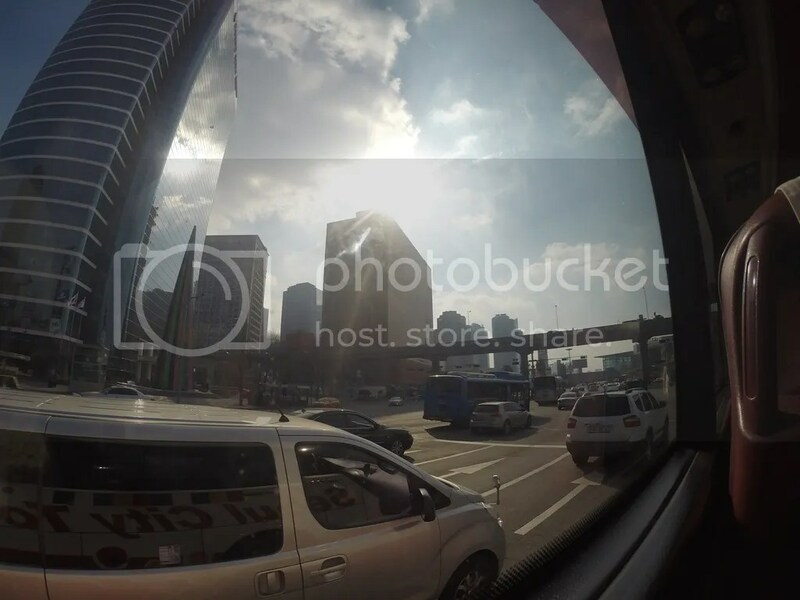 Getting from one place to another took some time, may we be on a taxi, bus or train. If one isn’t too mindful about which place is near what, it could get very time-consuming and costly. 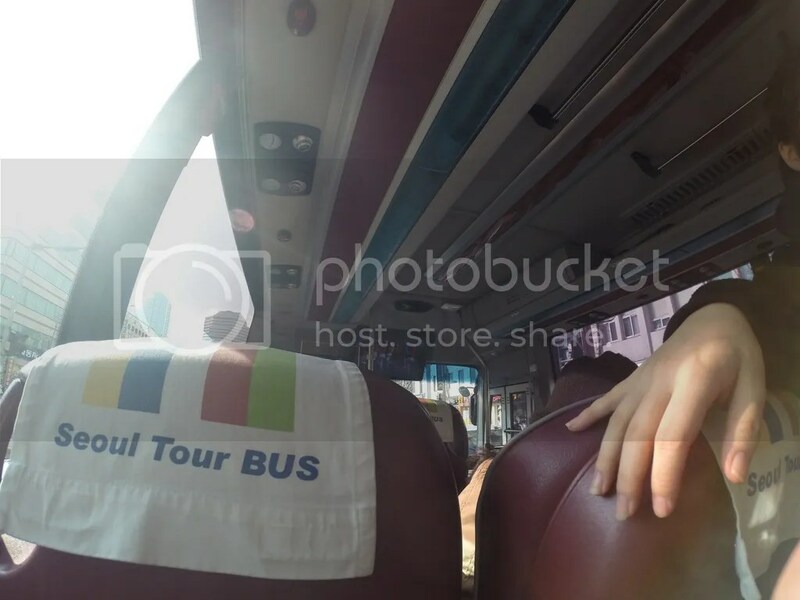 Seoul City Tour Bus is a hop-on, hop-off tour bus. 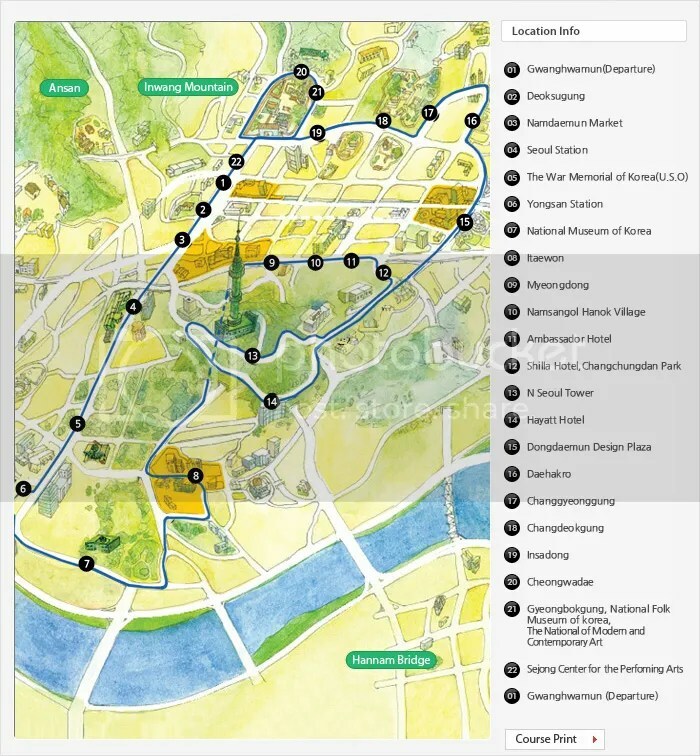 It is the cheapest and most efficient way to visit all of Seoul’s popular attractions and shopping venues. Each seat has an individual head set where one can listen in and get an idea about the upcoming drop off point you’ll be visiting. Our bus had the “Downtown Palace Course” that featured 22 drop-off points. Three buses are operational all at the same time, so you can expect a bus to pass by every thirty minutes. Since there were a lot to see, our strategy was to do one round of all destinations while we listened from our headsets. From there, we decided which stops get dropped off at. 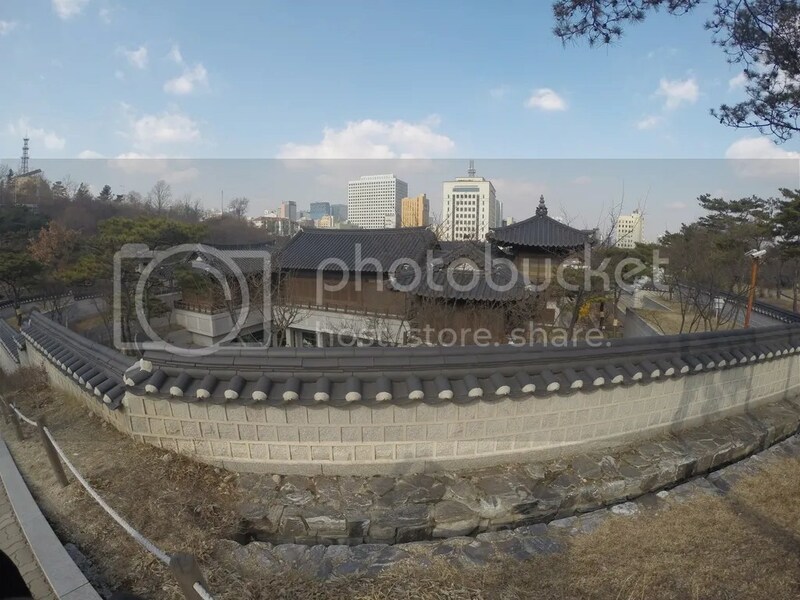 Namsangol is a traditional Korean village where you’ll find five restored Yangban houses. The Yangbans were the upper-class Koreans during the Old Joseon Dynasty. The perimiter is pretty big, but the houses are on your left once you enter the gates. We explored first, before heading to in. During the walk, my scarf doubled as a face mask to shield my face. Not from the sun, but from the extremely chilly gusts of wind. 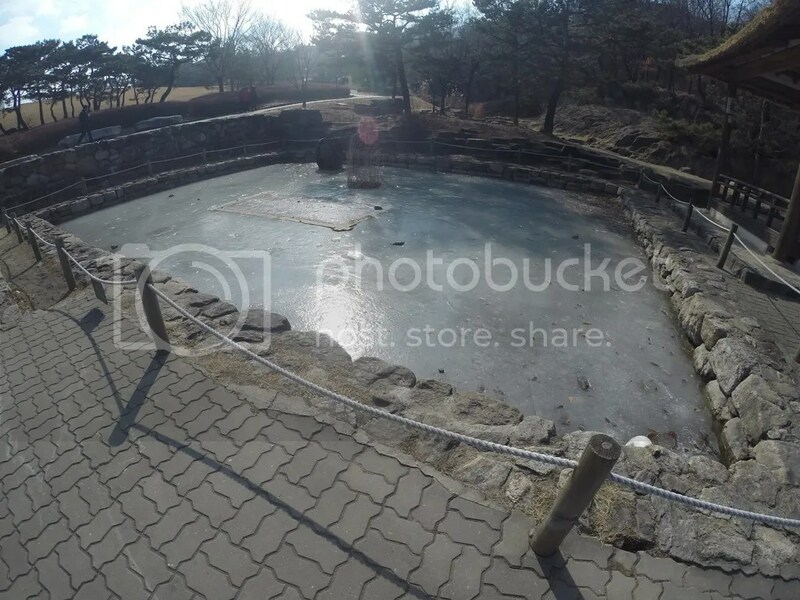 And just so you believe how extremely cold it was, here is a photo of a frozen pond we spotted. A testament on how cold our walk around the perimiter was. After our tour, we were waiting for our bus and decided to grab some warm drinks for Paris Baguette. We had about fifteen minutes left, so we found refuge in this stairwell because standing outside in the cold was unbearable. 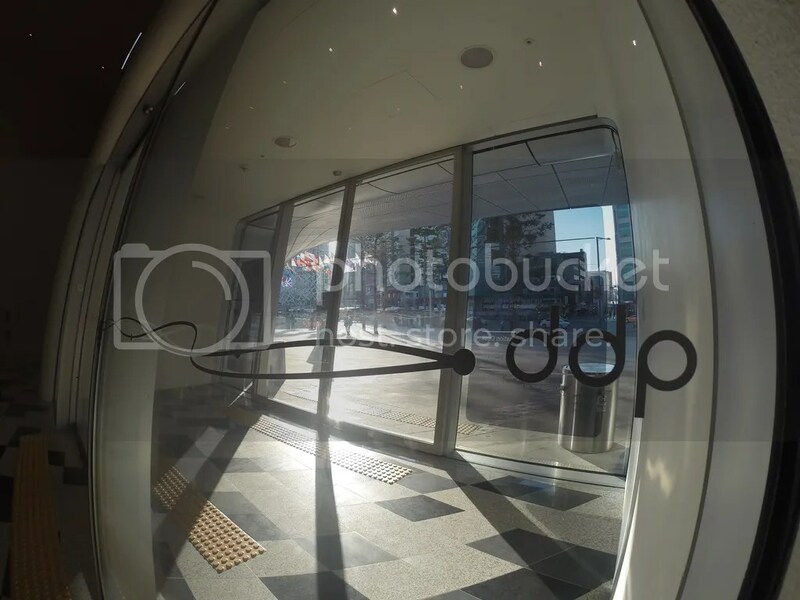 N Seoul Tower is one of Seoul’s distinguishable landmarks. 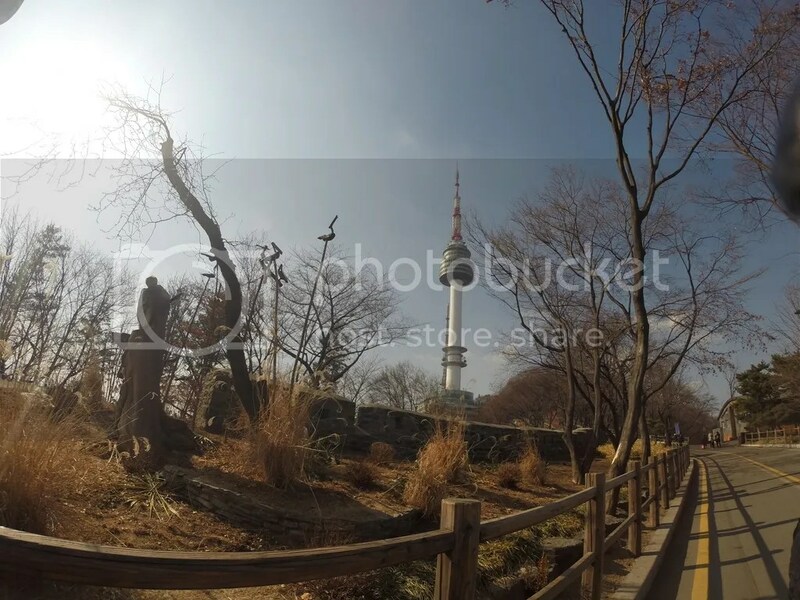 Found on top of Namsan Mountain, this tower is the highest point in the city. The trek to the top was a welcome experience for us as we were dying to get some heat even if it meant it was from exercise. 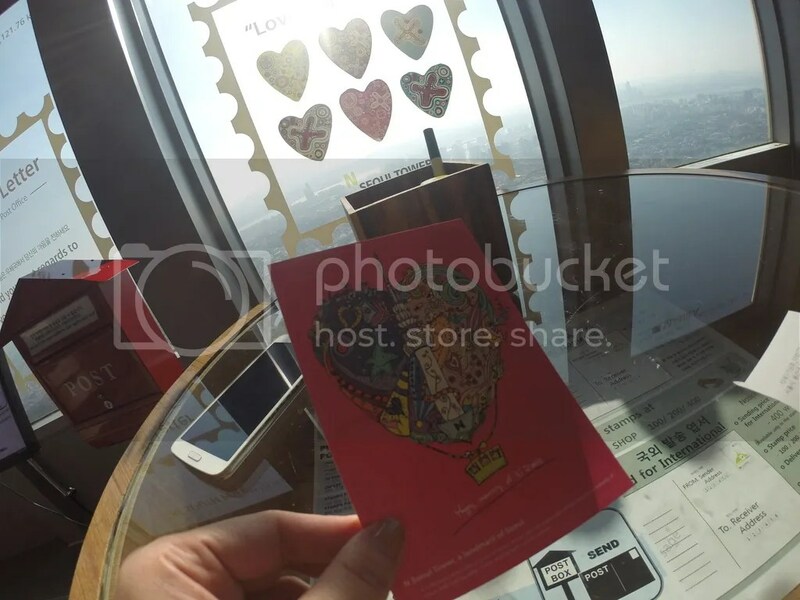 At the top, you’ll find a deck where you can buy tickets to enter the tower itself. Thanks to the tour, we got ours at a discounted rate. The elevator ride was pretty funny since it was interactive. 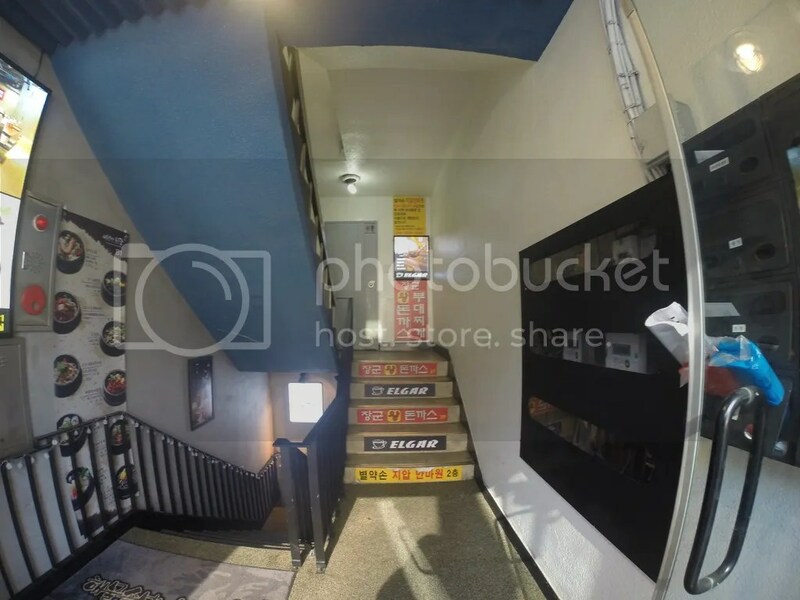 The elevator was dark with its ceiling turning into a simulation of you zooming through the sky, galaxies and finally bumping into the N Seoul Tower planet. 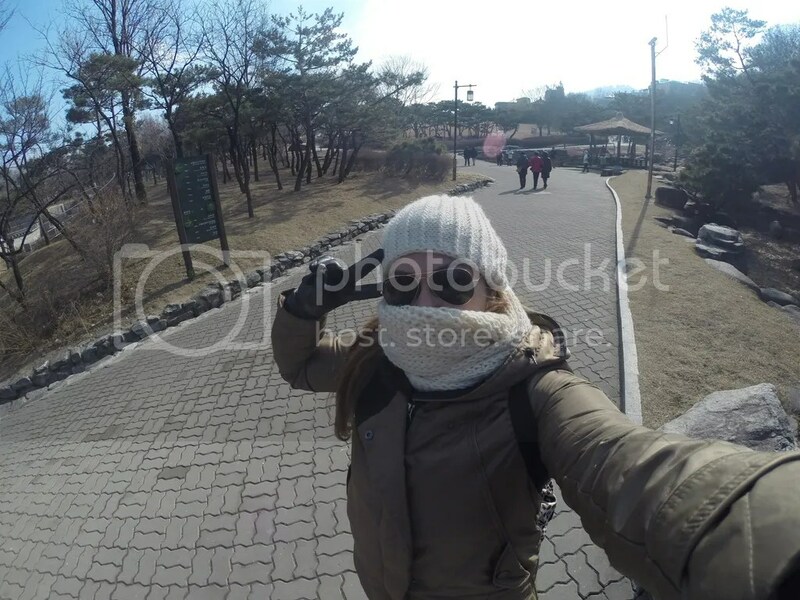 From the highest point of Seoul, we were able to admire a 360 degree view of the city. We also took the time to write a post card to our other girl friend over at Barcelona. 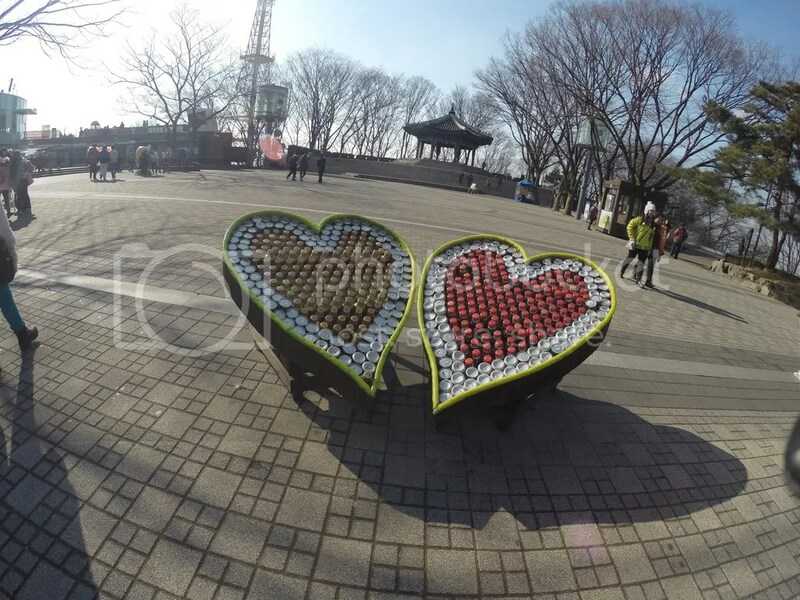 N Seoul Tower is also synonymous to the “Locks of Love”. 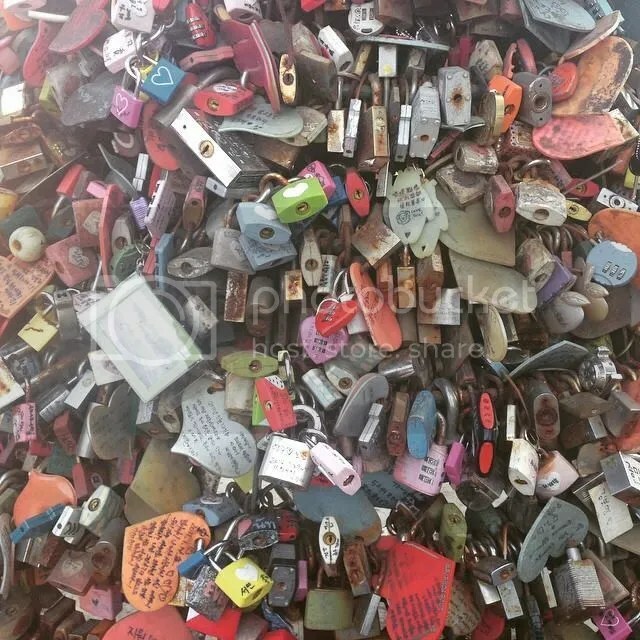 It is a very popular attraction where lovers can hang their locks by the tower fence to show their everlasting love for one another. Since I had no one to lock hearts with, I opted to get a churro instead. It was almost 3 pm and we haven’t had a proper meal for the day. We were supposed to get some authentic Korean meals by Gyeongbukgung Palace but impatience got the better of us. We decided to get dropped off at the next stop, DDP. 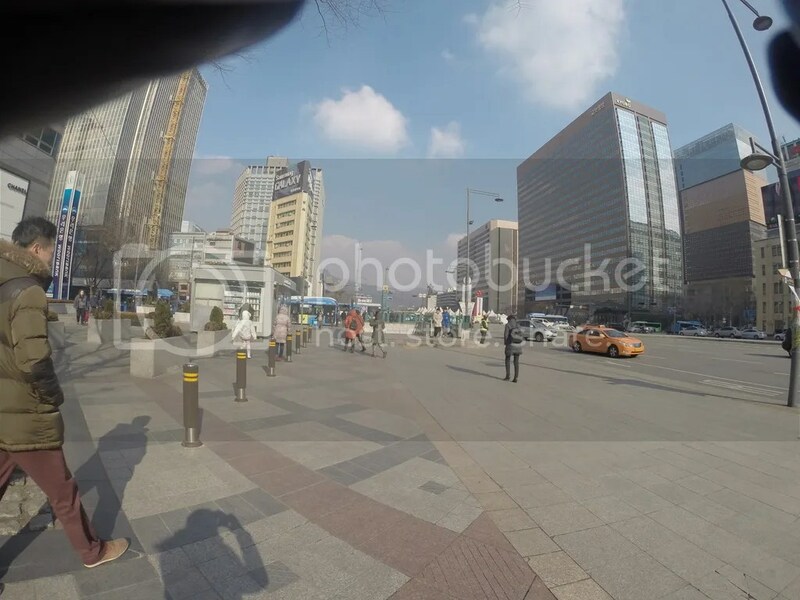 Dongdaemun Design Plaza is a major urban development landmark in Seoul with its distinct futuristic design. 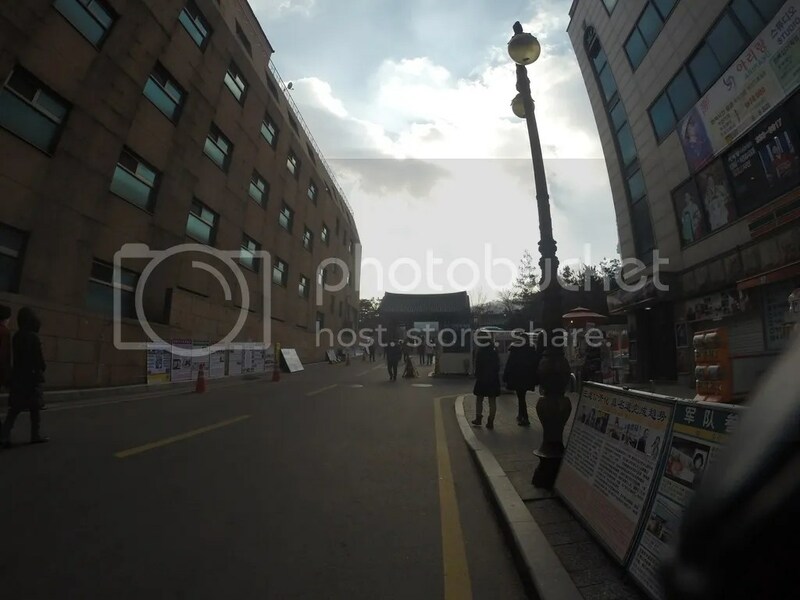 This place seemed fitting to the area as it is considered as the “centerpiece” of South Korea’s fashion hub. We had other things on our mind though. (FOOD!!!!) From across the street, we spotted Doota!, a giant fashion mall. This mall boasts of more than ten floors of fashion outlets. We thought that even fashionistas get hungry, so in we went. Thanks to our food tracking skills, we were able to find the food court in one of the upper floors. We took our time in choosing our meals and enjoying the heat. It was almost 5pm when we finished our lunch. We were debating whether to go visit some more sites or just go shopping instead. Without much struggle on deciding, shopping won. 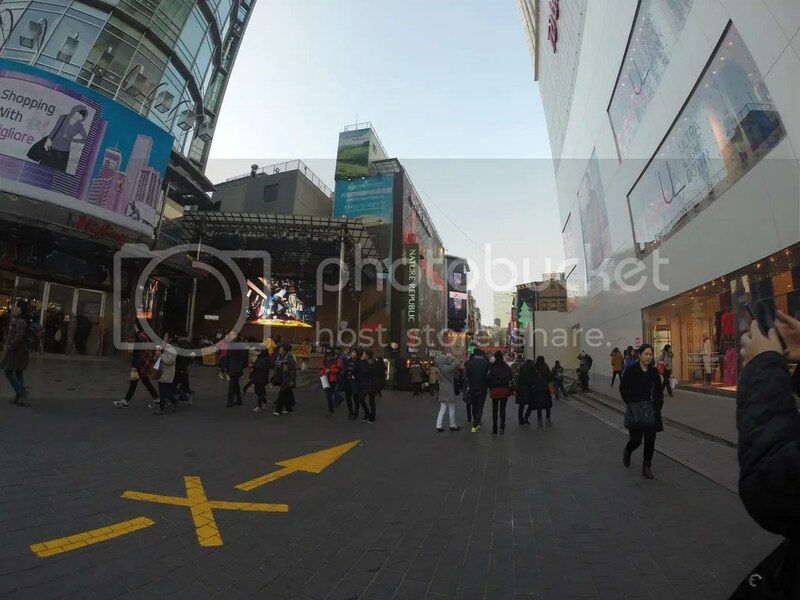 Myeongdong is Seoul’s most well-known shopping district. 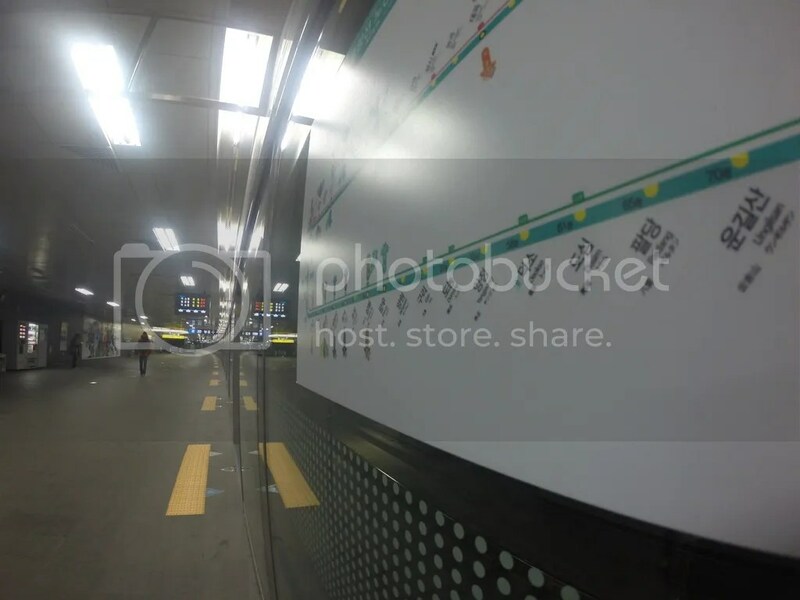 Here you’ll find Korea’s well-known brands and major department stores. Shopping is not the only thing to look forward to as you’ll also find great restaurants, cute cafes, and street side vendors. It was reminscent of Taiwan’s Ximending Night Market. 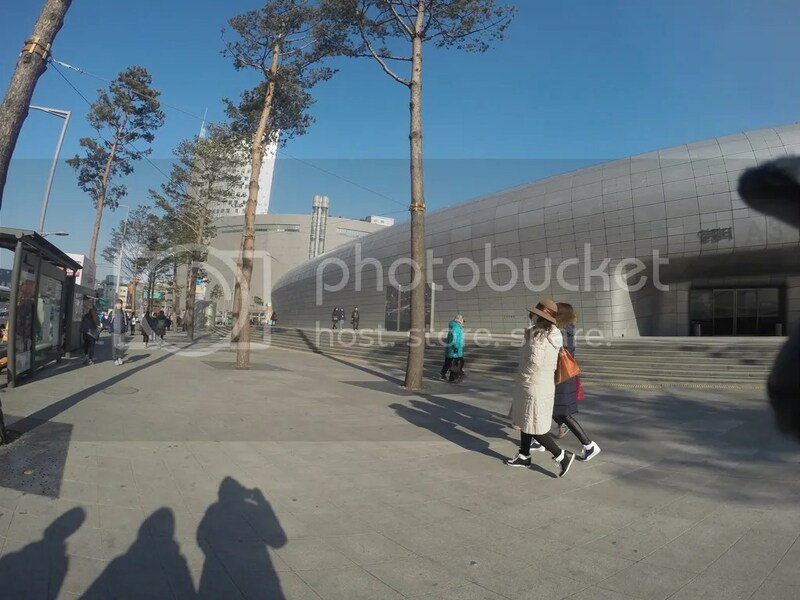 We loved Myeongdong so much that we visited twice during our trip and hence it deserves its own blog post. Our tummies started grumbling again, a clear indication that we went overtime with the shopping. We opted to train our way back to Hongdae, and it proved to be verrryyy faaaarr awaaay… (and tricky when you switch lines). Even if did not get to exhaust what our pass had to offer, we enjoyed the free ride and our very short tour of the city.